The new Aizen Intermediate HIBIKI model offers the advancing player a high quality upgrade instrument for a relatively low cost. Designed by the sax technicians at Aizen the HIBIKI has a bright, colourful tone that is suitable across all genres. Perfect for players moving up from their beginner Saxes and looking for something to take them to the later grades and into higher levels of playing. Bright lively sound with plenty of depth. 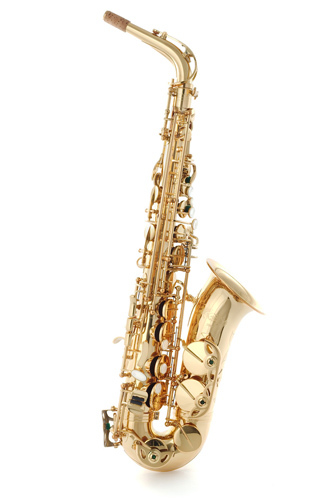 Excellent option for advancing players wanting an upgraded Sax. Supplied in leather style shaped case, inc.mouthpiece and accessories. Fully workshop checked with 14 day home trial available.